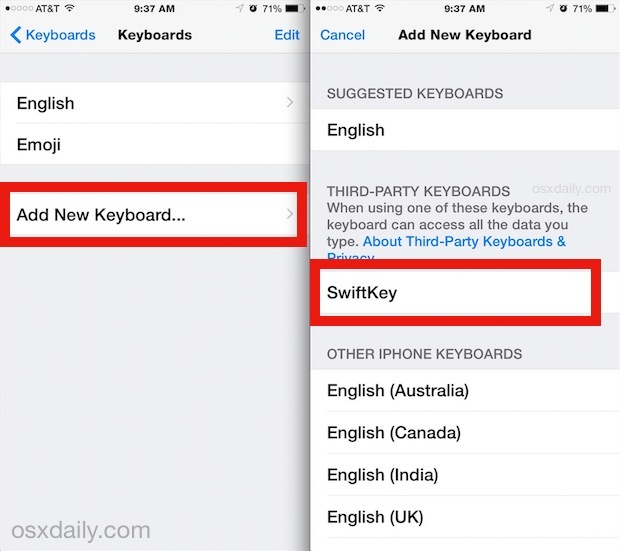 iOS gained the ability for users to add third party keyboards to their iPhone, iPad, and iPod touch. This has allowed for popular keyboards from the Android world, like the gesture-based Swype keyboard, to arrive to iOS, many of which aim to make typing on a touch screen significantly easier. Such keyboard are available to download from the App Store, and many of them are worth exploring, particularly if you find typing on the iOS keyboard to be annoying or difficult. You’ll need to download a third party keyboard before being able to add it to iOS, and when you download a keyboard, it is not automatically available or activated, which means you must activate it separately. That multi-step process has caused some confusion with users, but it’s for good reason and aims to protect user privacy, as we’ll discuss in a moment. First, let’s cover how to add and enable a third party keyboard. You must be somewhere where text input is allowed to access and see the new keyboards, fairly obvious. 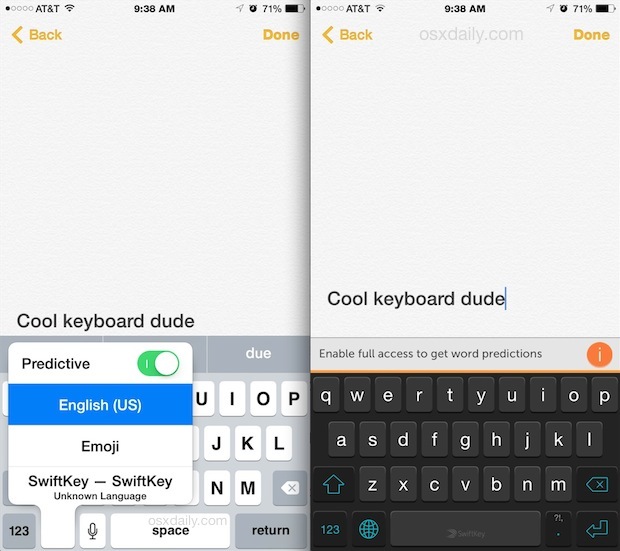 Notes is a good place to test out a new keyboard, but they’ll be accessible from everywhere once they’re added. Each third party keyboard works and behaves differently, you have to use them for a while to really get the hang of things. The gesture based swiping keyboards learn as you use them and get smarter as they go along, so even if they feel a little weird at first, if the idea appeals to you keep using it for a while before arriving at a conclusion. You can switch out of the third party keyboard at any time by holding down the little keyboard icon again, in the same way you switch between the Emoji keyboard and normal QWERTY keyboard. Some users won’t care about this, but those who are concerned with privacy may not be too thrilled with that prospect. Every reputable third party keyboard creator should tell you what their intention is with the “full access” feature. 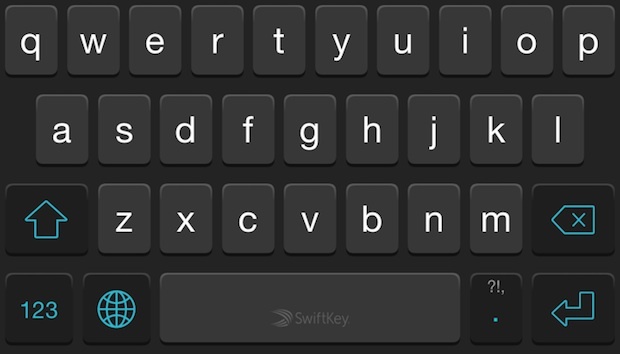 For example, SwiftKey addressed this and Swype does too, both of which reassure users there is nothing shady going on. When in doubt, consider who made the keyboard and what they are doing with the data, if anything, and use some discretion.